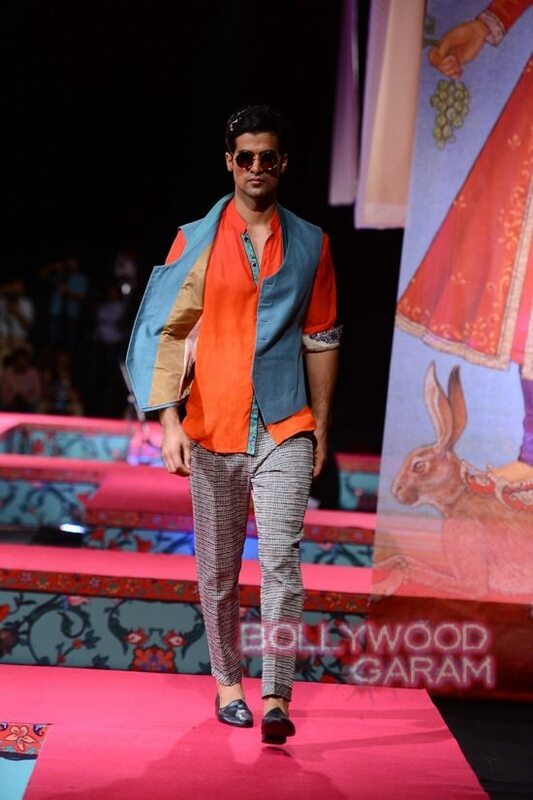 Tarun Tahiliani wows with his array of colours at the Wills Lifestyle India Fashion Week 2015. 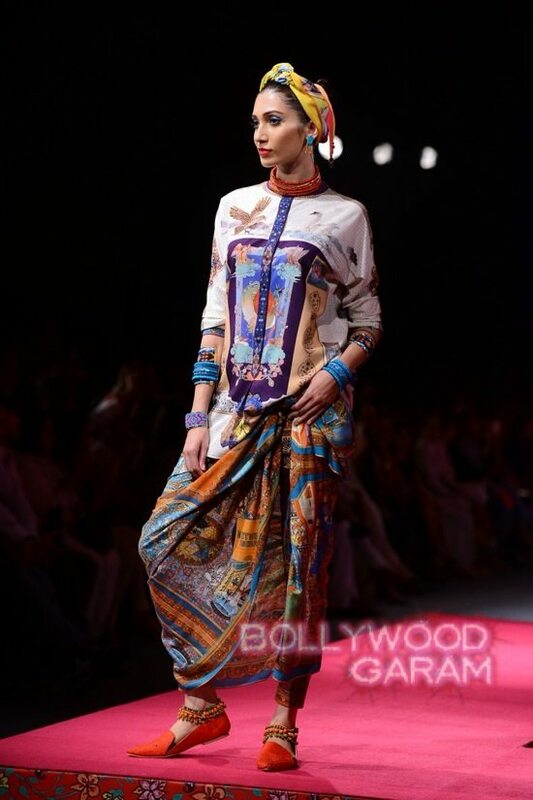 Coveted Indian celebrity designer Tarun Tahiliani showcased his collection on day 1 of the Wills India Fashion Week Spring/Summer 2015 – October 8, 2014. Before the fashion gala kicked of, Tahiliani has promised that his designs will definitely be something different this time. 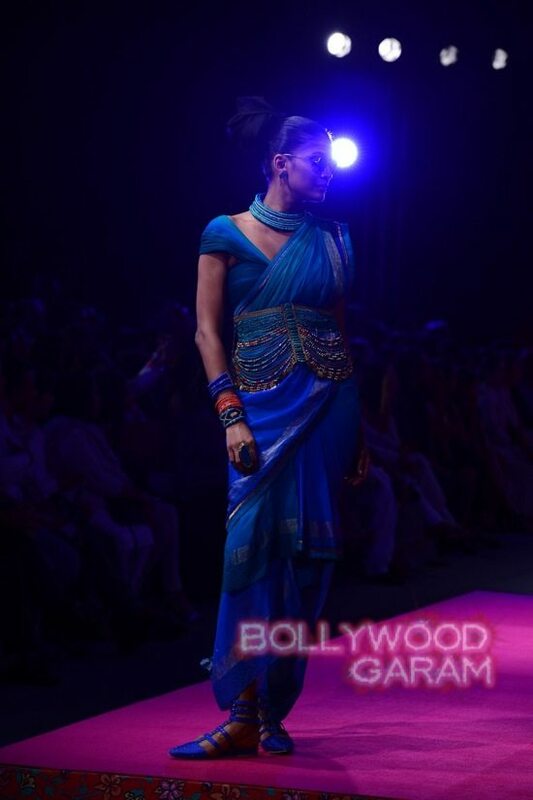 New prints and fabrics were seamlessly merged with his signature drapes. Tahiliani’s collection included shirts, tunics, saris and draped lehengas in some bright colors like lemon, pink and peach. 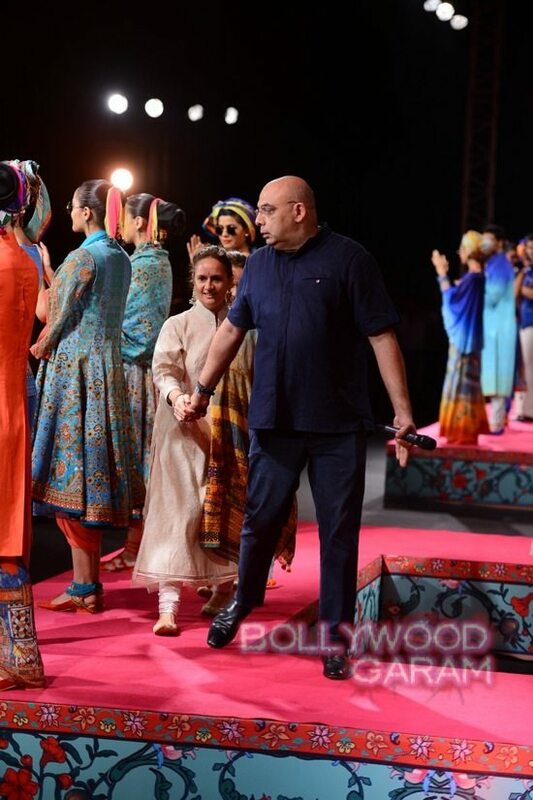 The entire show was choreographed in unique way, the ramp was turned into a royal alley coloured in plush pink and decorated with images of Mughal royals. 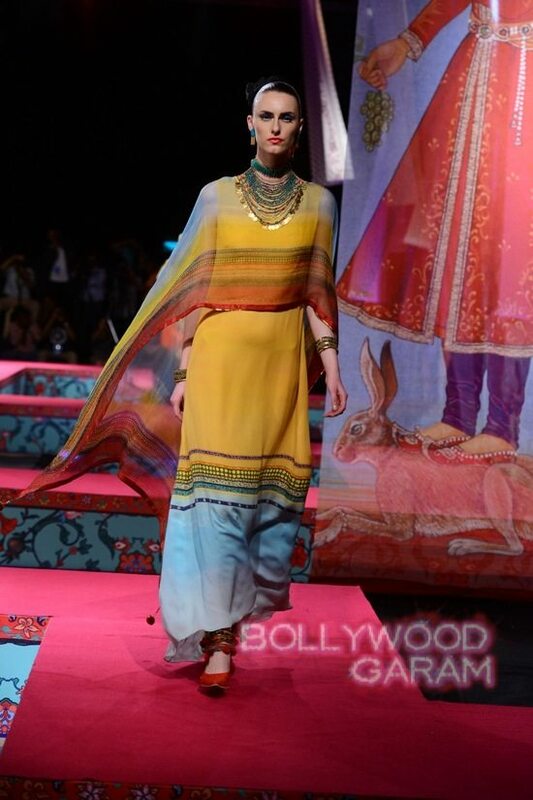 The sartorial designs were doused in rich Indian colours, complementing the whole feel of the show. 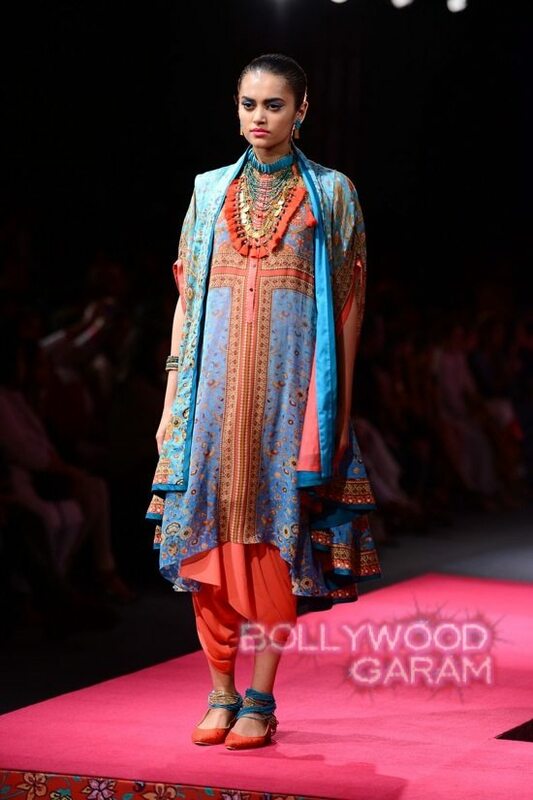 The collection by the designer stood-out to be one of the best on day one of the WIFW 2015. Tahiliani has always managed to stun fashion lovers with his unique sets of designs.